Farm located at 14143 Christmas Tree Road, Green Valley, IL. 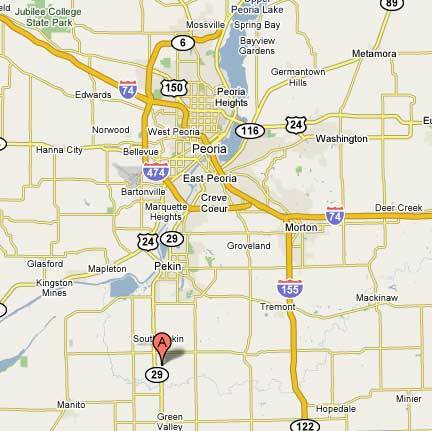 Take US-24 south to Pekin, turn left on IL-9, and turn right on IL-29. 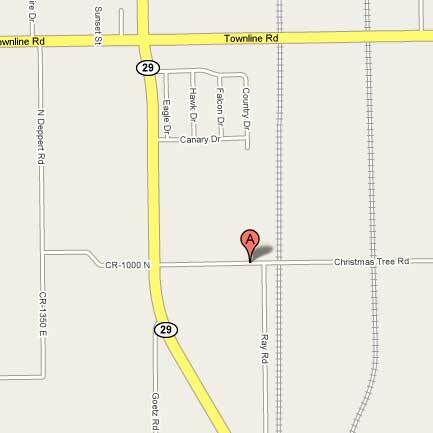 Continue south on IL-29 past Townline Road and take a left on Christmas Tree Road. Take I-55 North to I-155 North. Exit at Townline Road (Exit 22). Head west on Townline Road then turn right at CR-1, followed by an immediate left on Townline Road. Continue on Townline Road, take a left on IL-29, and then take another left on Christmas Tree Road.